Bollard Sox for every occasion! What is a Post Guard Bollard Cover? 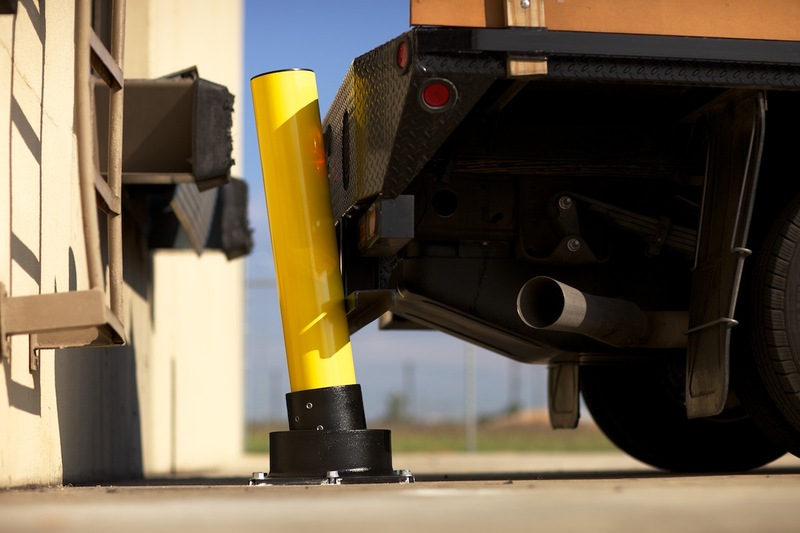 A Post Guard cover is a protective sleeve that easily fits over posts and bollards. It saves time and costs by eliminating constant scraping and repainting. The plastic contains ultraviolet additives and it withstands extreme temperatures. Custom colors, symbols and company logos are available. 6 year guarantee - longest in the industry! 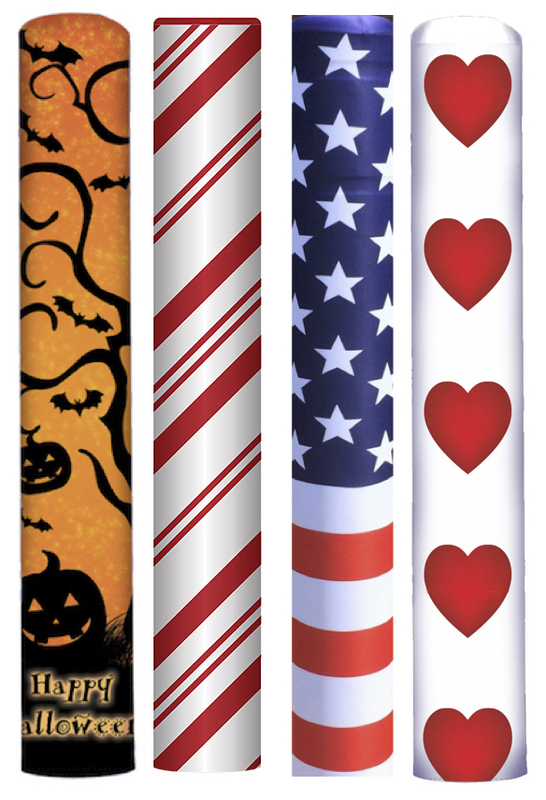 Post Guard covers brighten your traffic posts and bollards with good-looking protective sleeves. Our High Density Polyethylene (HDPE) post covers fit easily and securely over existing posts to improve property appearance, visibility and safety. As the US-based manufacturer of our Post Guard products, we invite you to become a part of our growing family of satisfied customers. While bollards direct traffic and protect areas from vehicle damage, bollard posts must be repainted frequently. Our bollard covers (also referred to as a post sleeve, post cover or bollard shield) slip over steel pipes, steel poles and cement bollards to improve appearance and eliminate repainting and maintenance costs. Post Guard cover customers are impressed by our quality products, price and dedication to personal service and customer satisfaction. It's easy to see why Post Guard covers are an ideal solution at thousands of sites.